This picture shows what we all know, no matter what chair he sits in, Scott Walker is such an empty shell that he needs someone to constantly be telling him what to do. I wonder if Tonette has to order for him in a restaurant? Your turn - Caption this! 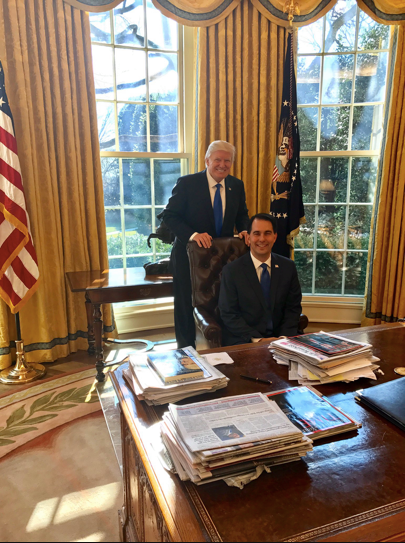 Scotty gets to sit in the Bigly Boys Chair after swapping stories with Donnie about crowd control. "Hey Scott- how'd you get that bald spot?" Winning so much, we are getting tired of winning.